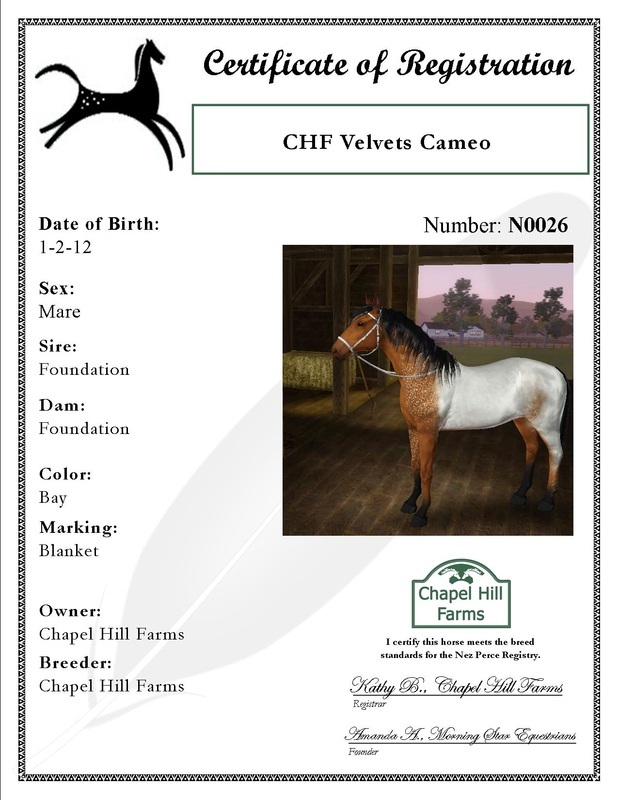 Cameo is a bay Nez Perce mare with a blanket. We have several fillies of hers already and love their coloring. She is double registered as a Nez Perce and as a Quarter Horse mare. Color/Marking: Chestnut Appaloosa with blanket.